What made you both sign up to the challenge? I signed up to challenge myself - as if life on the road wasn’t hard enough! I decided to make a conscious effort to eat and train better. I had also just discovered that I was expecting, so I felt like it was as good a time as any to focus on giving my body the right sort of nutrition. Justin had always supported me in my decisions, so to have him along with me on this journey was important. I think it just makes sense too. Meal prepping, motivation and inspiration all starts at home and if a couple is on the same page, it’s easier to focus on the end goal. What results did you both hope to achieve? As I was newly pregnant, I really wanted to make sure that my weight gain was under control. The desire to eat, a lot, is real. I also knew that I shouldn’t be putting on any weight early in the pregnancy. I didn’t believe that carrying a child should be an end-all excuse to eat whatever I liked, but I also knew that everything had to be in moderation. Justin’s goals were very different. He was trying to build more lean muscle mass. As he has a high metabolic rate, this was a challenge for him. He benefits from a regular training schedule, so at the end of the month, he was looking to see a shift in his body fat percentage. I was traveling a lot around South East Asia. Getting fresh produce is not the easiest when you’re on shoot and many times the food provided is not the healthiest. In fact, it rarely is. So I needed to manage my options and improvise. Justin needed to ensure that he was consuming enough calories. He worked out hard at least 5 times a week, but ensuring that he doesn’t lose his mass was going to be a big thing for him. 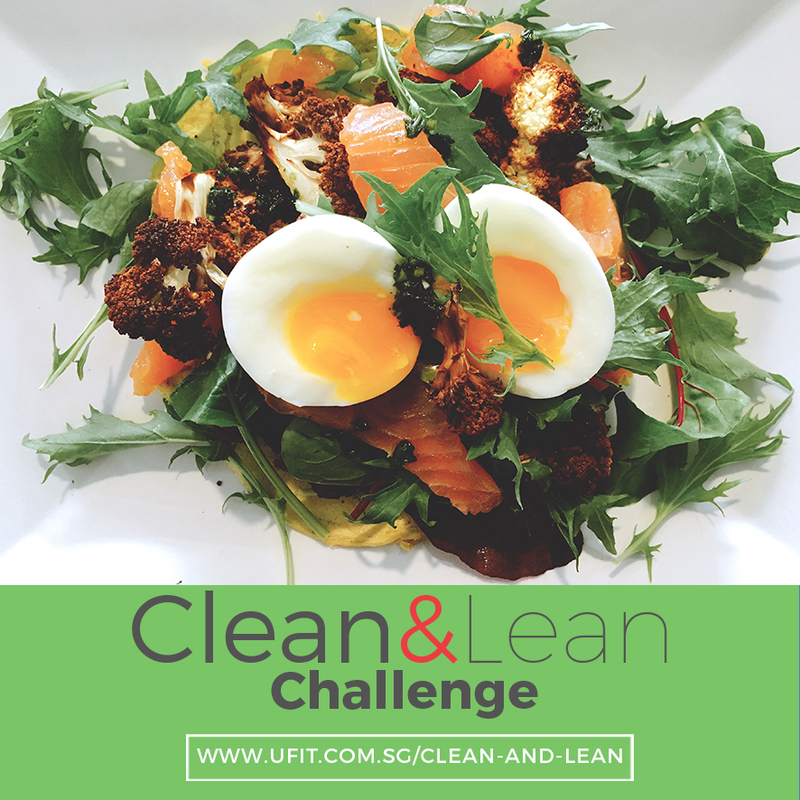 You’re a busy lady and travelled throughout the Clean & Lean Challenge, what did you struggle with the most? It’s always a struggle to eat well and stick to your training regime when you’re on the road. But it’s important to do a little bit every day, no matter what it is. Food wise, I knew I wan’t going to be eating a super strict diet, simply because standard production shoot food consists of Nasi Lemak, chicken rice or some form of noodles. Reason being is that the days are long and the crew need to keep their energy levels up. I needed to consume some grains, but I packed some healthier snacks, alternative breakfast options and looked for fruit for sustenance on the longer days. Read more about Kelly's full experience right here. Kelly Latimer - Host & Vocal Talent Fitness Enthusiast, friend of UFIT.